We all had a fantastic time on the bhaya overnight cruise, service was superb and food wonderful, cabins clean and very quaint, lots going on including trip to the caves. Anna was a great asset to the stay from spring roll making to tai chi at 6am, definitely a trip to remember. Exotic trip to Halong Bay! 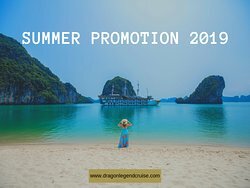 We took the 2 days 1 night cruise with our 5 yo son. We stayed in a terrace suite which was quite spacious, neat and clean. Our son enjoyed a lot specially the boat ride to the nearby islands. He even participated in the MasterChef competition and was applauded by the other guests and staff. Due to the weather conditions, the itinerary had to be changed but the crew tried their best to arrange alternative tours. The lunch was a disappointment since we had mailed 3 months back about our dietary preference. However, Mr.Eric and his team arranged for an alternative option for our child and they tried their best to accommodate our dietary needs. Dinner was good with authentic Vietnamese cuisine while breakfast/brunch was a little rationed I feel. 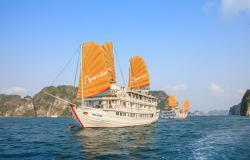 Overall, the trip was great and would recommend Bhaya Cruise for a visit to Halong Bay. 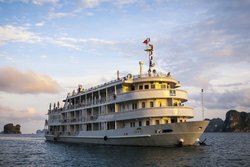 My Husband and I recently sailed the 2 day/1 night on the Bhaya Classic 3 and it was incredible. The service, the cabins, the food... all we could talk about was wanting to go back for longer. 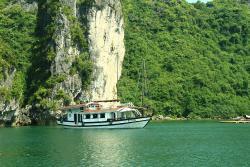 On our recent holiday in Vietnam we left the best until last with a 2 night 3 day cruise of HaLong Bay with Bhaya cruises. The staff were all very friendly and couldn't do enough for you. We had one of the best cabins on the boat and could not have been more comfortable. Nice and clean and tidy. The food was wonderful with 5 course dinners with a lot of seafood dishes. So happy with the cruise and would highly recommend this to anyone.